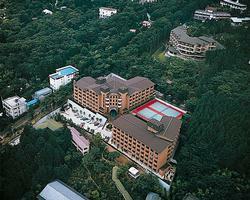 This resort is located near Mount Fuji in Fuji-Hakone-Izu National Park. Magnificent scenery, many mineral springs, and superb recreational opportunities make this one of Japan's best-loved vacation spots. Take a boat trip on Lake Ashi close by, swim in the pool, or relax in the sauna.